Ian Riley's Black 5 45407 The Lancashire Yeomanry arrived at Buckfastleigh today with a Past Time Railtours special from Plymouth to Exeter, via the South Devon Railway. This is the first LMS Black 5 to visit the SDR and only the third LMS engine ever to make it to this Great Western outpost! 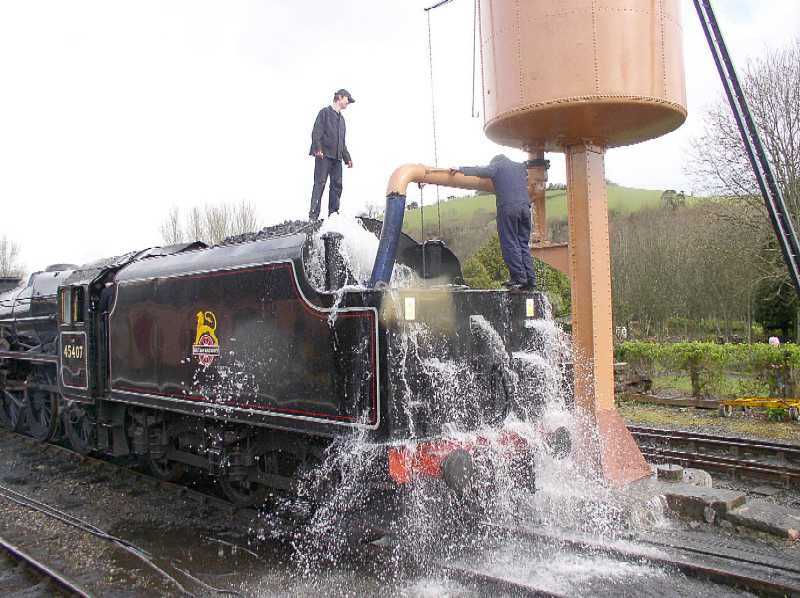 The first ever ex-LMS engine to get to Buckfastleigh was Stanier 2-6-0 42968 several years ago when it arrived for servicing off a main line special and stayed over for a week before returning whence it had come. The second LMS engine at Buckfastleigh was a more humble but very important tank engine - Jinty 0-6-0T 47383 but dressed up as 'Thomas'! 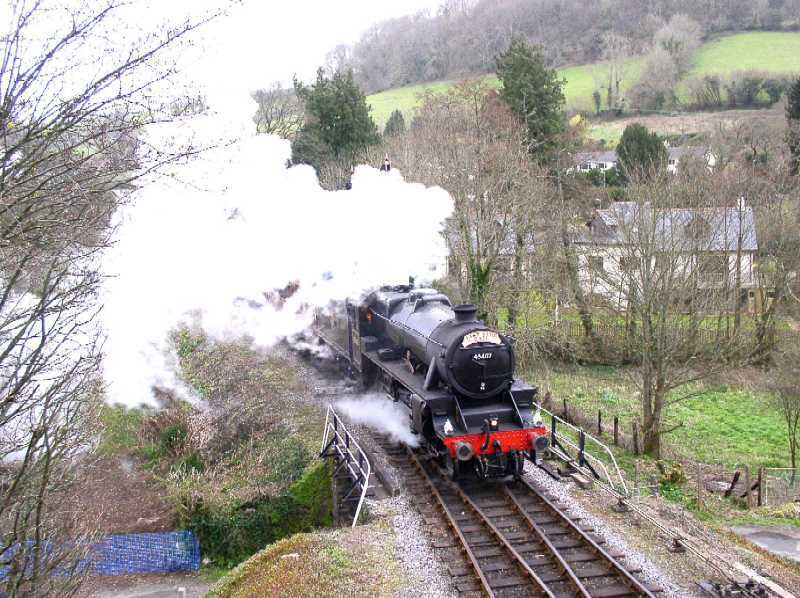 The Past Time tour arrived with a complement of 200 visitors, some of whom partook of a round trip on a South Devon Railway train hauled by 5526, and the rest enjoyed some free time at Buckfastleigh before returning on the special, leaving Buckfastleigh at 13.10hrs. 0-6-0PT 1369 will be back in traffic within the next week. 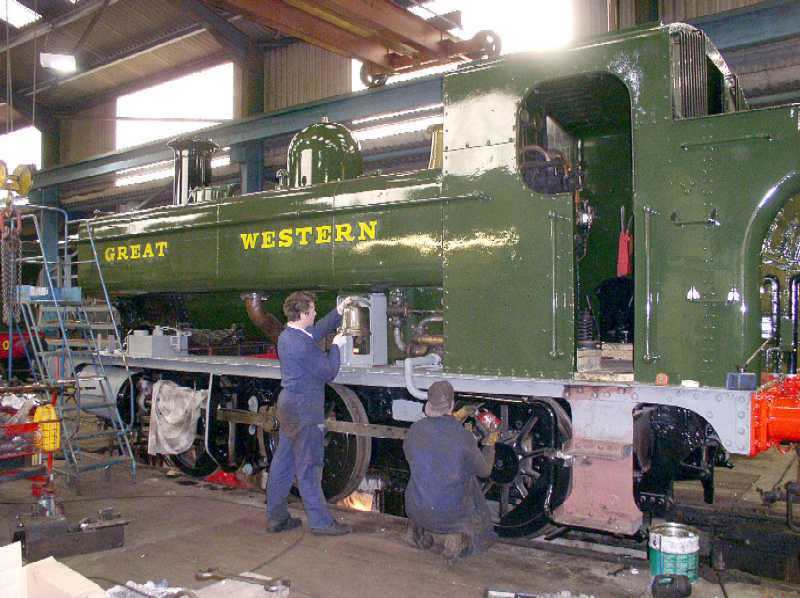 Workshop staff and paint gang are busy with the final few jobs before it has its steam test next week. 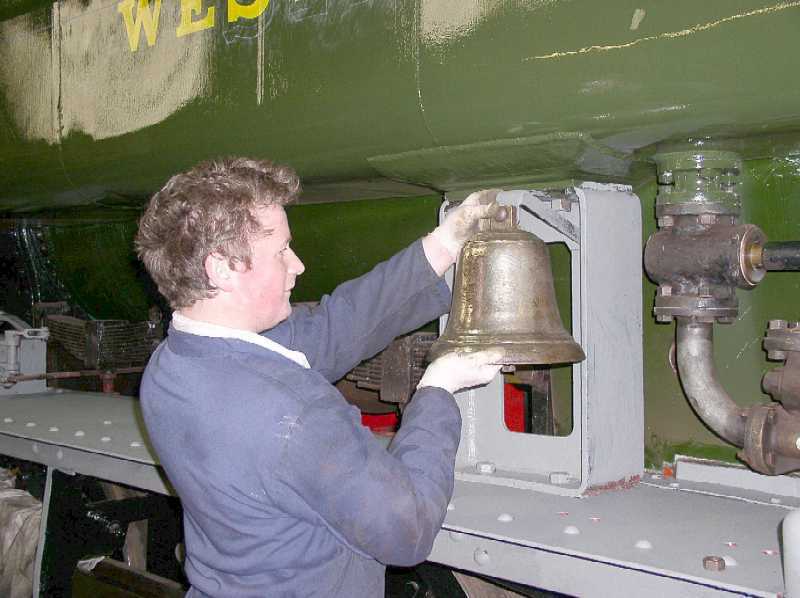 One of the final jobs was to get the bell that the engine would have worn when on Weymouth Quay branch duties and give it a good polish! Lettering with the full 'Great Western' legend was well advanced by the time the pictures were taken. 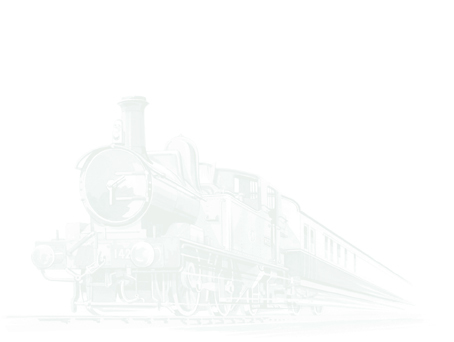 It is proposed to give the engine some running in turns during the week leading up to Easter with the loco rostered to pull its first train on Saturday 7th April on the evening 'Beer Ex' in conjunction with the Real Ale Festival taking place at Staverton Station. Our Workshop Staff admiring their handiwork. Many hands make light work- 1369 is almost ready.